Happy Valentine’s Day! We hope this holiday is filled with happiness for you. Maybe you have a Valentine to share this day with. Even if you don’t, we have a very special note here for you that we think you’ll love. I love you for all of the things that you do. You pay for my housing and buy me my shoes. And you watch over me to keep me safe from harm. Knowing they fall upon listening ears. But I’ll never speak them – not a word, not a chance. You give me your heart. I give you this dance. Across open valleys, along trails far from home. Since the first time we met, and I whisked you away. This Valentine’s Day I hope you know how I feel. Though I don’t often speak it, our partnership’s real. There’s no love so close as the one that we share. It’s founded on passion and friendship and care. And if you need a pick-me-up, we go for a walk. As you lie on my shoulder and play with my hair. So this is for you, my sweet valentine. I will be your love and you will be mine. And who’s this note from? Well, your first love, of course. 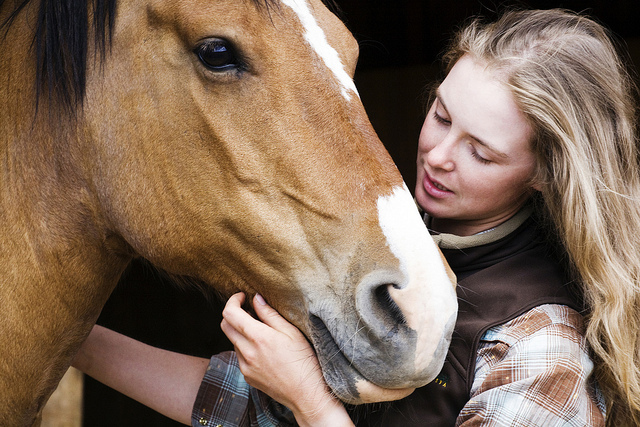 Signed, most sincerely, your dearest – your horse. Wishing you the happiest of Valentine's Days.